Atiur Rahman was born on August 3, 1951 in a village of Jamalpur district . His father was a poor farmer and illiterate. When Atiur Rahman was in class 3 he had to leave school because of poverty. Then Atiur Rahman was capable to restart his education when he passed class 5. In class 6 he wanted to admit a good school for better education. Finally he was admitted in a school named Mirzapur Cadet Collage. He continues his classes by the help of a school teacher. School teacher granted him free guidance . Atiur Rahman SSC and HSC result was very nice and his position was top of the lists. Then Atiur Rahman went to Dhaka University to study Economics. After completing BSS and MSS in Economics he applied for Commonwealth scholarship and also succeeded. He obtained his PHD in 1977 from London. 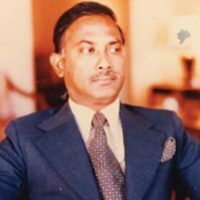 Atiur Rahman was a preparing officer in the Bangladesh Tourism Corporation in 1975. He organized a NGO in 1994 named was “Unnayan Samannay”. He had worked at the Bangladesh Institute of Development Studies in different capacities in 2006. He was retired as a Senior Research Fellow. 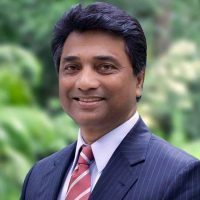 Sonali Bank rewarded him as a director, the bank is the largest bank in Bangladesh. In 2001 the Bangladesh Government appointed him as the Chairman of the board of the directors of the Janata Bank. He joined as a professor at Dhaka University in 2006. Atiur Rahman always a focus in poverty alleviation. So, in this sector he worked with Dr Mohammad Yunus. 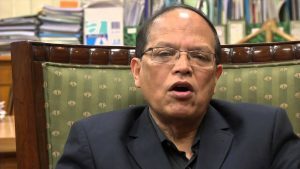 On 2009 he was appointed 10th Governor of Bangladesh Bank, It is the central bank of the Bangladesh, for a tenure of four years. He assumed the title on May 3 , 2009 and was reappointed until July 2016. In 15th march 2016 he submitted his resigned letter to Prime Minister of Bangladesh Sheikh Hasina for the Bangladesh Bank money hacking case. Hacker transferred $101 million from Bangladesh bank reserved to Philippines with a swift code. Then Fazle Kabir was selected as the new governor of Bangladesh. Dr. Atiur Rahman married Shahana Rahman who is a Professor of Pediatrics at Bangabandhu Sheikh Mujib Medical University. They have three daughters. Atiur Rahman wrote many books on poverty, public expenditure, economic development, public welfare and such other socio-economic issues. As of 2009 he has published 45 titles, of those 16 are English and 29 in Bengali. He mainly writes on socio economic issues. Atiur Rahman was awarded “Central Banker of the Year 2015” from the Asia-Pacific area for stimulating growth & stabilizing economy of Bangladesh.